On Friday morning, current mayor of Côte St-Luc, Mitchell Brownstein, announced that he was putting in his candidacy to run for another term as mayor of the city. At the Elna Bistro press conference, Brownstein made the announcement with the support of six city councillors present and with statements read from two other city councillors who were unable to attend. 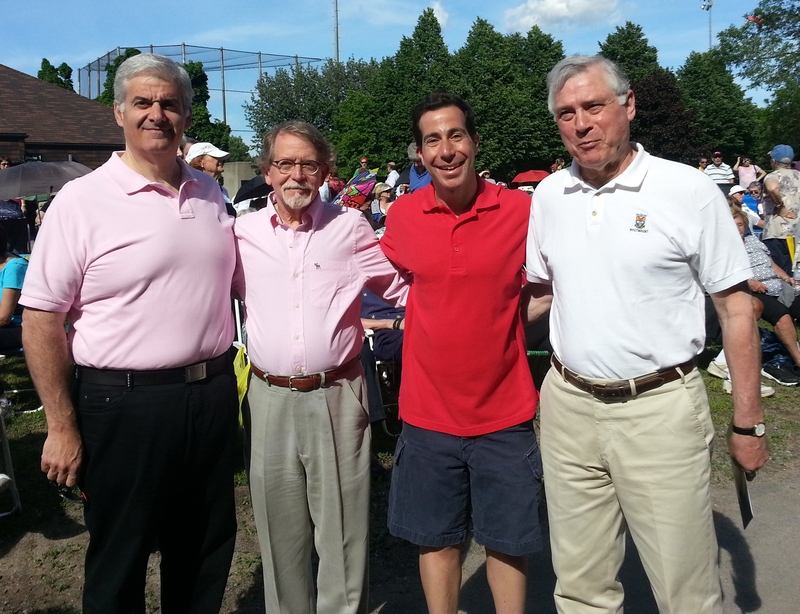 He was also supported by Anthony Housefather, member of Parliament for Mount Royal, Lawrence Bergman, former minister of revenue, and Peter Trent, former mayor of Westmount and former president of the Association of Suburban Mayors. “Mitchell has the capacity of reuniting people and this characterizes his strong leadership skills,” city Coun. Sidney Benizri said. When Trent spoke, he mentioned that he had originally written a speech that focused on Brownstein’s accomplishments but since he learned yesterday that another candidate would be running, he decided he needed to speak about Brownstein’s potential opponent. “I didn’t want to use the L-word at that point,” Trent said. “But then yesterday, I discovered that Mr. Robert Libman has decided to put his toe in the water to see the temperature with regard to running again as the mayor of Côte St-Luc. Trent said that during 2002 and 2004, he led the de-merger movement. Trent placed his hand on Brownstein’s shoulder as he spoke. “I have seen them fight for their city which I think is important that potential electors realize,” Trent said. Trent explained that five weeks before the 2001 election, Libman thought the mega-city would be a “bureaucratic monster” and that Libman was “completely against it”. But, Trent said, then he changed his mind. “From then on, he became the biggest cheerleader for the mega city, to the point that when we managed to pull a rabbit out of the hat and have a chance at de-merging, he actually argued against de-merging,” Kent said. 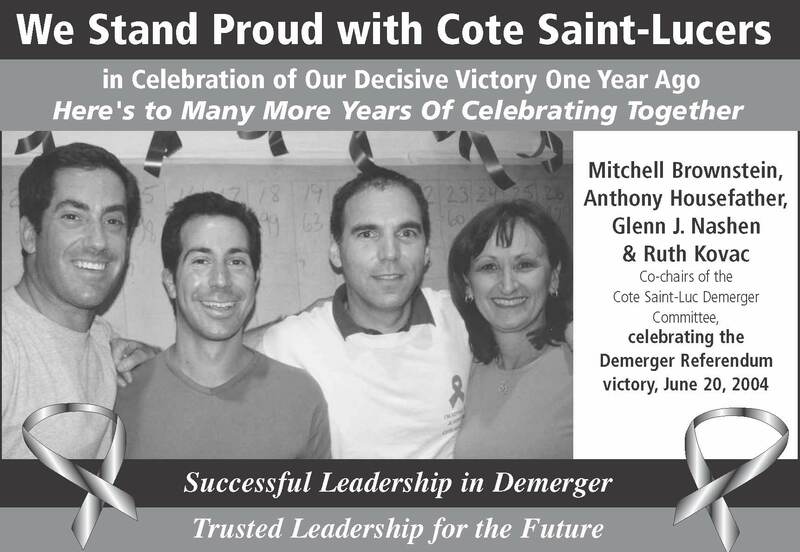 According to Trent, the de-merger is the most important thing to happen to Côte St-Luc. “You can judge a person’s character on how they behave during a tough time,” Kent said. Trent added that Brownstein has the capacity to “do the right thing when times are tough” and that history has proven that Brownstein can stay the course and fulfils his promises. Housefather said that you can tell a lot about a man from what he does when the chips are down, and told a story about how Brownstein lifted him – and others – up. Housefather reminded the crowd about how difficult it was to bring the de-merger to life back then. He explained that at the time the symbol used to support the concept of a de-merger was a blue ribbon and told a story about how, one weekend, they all went out and put up blue ribbons on both public property, and the private property of those who requested it, across the city. He said he was shocked and discouraged when he heard that then-mayor, Libman, was on the news opposing the ribbons and had Public Works crews out taking down all their blue ribbons. This year, his first year as mayor, they ran a surplus of over a million dollars, he says, but with the Association of Suburban Mayors, they were able to negotiate a deal with Montreal where the city of Côte St-Luc will be paying $2.4 million less, phased in over three years, in order to support island-wide services. “That is really who I want to be as mayor,” Brownstein said at the press conference when it was his time to speak. Well said Mr. Mayor, umm, make that mayors. I greatly appreciate the clarity and frank talk that I’m hearing from our local mayors beginning with newly elected Montreal Mayor Denis Coderre. The last think we need is more division, more ways of shaking confidence in Montreal’s future and its economic and social development. Thank you to our mayor. And to yours. Quebecers of various stripes must stand up against such a deplorable abuse of fundamental rights. What’s more, the tabling of this Bill 60, in the days leading up to Remembrance Day, when we honour and commemorate the lives lost and forever altered of those brave Canadians, Quebecers included, is quite poignant. Our war veterans and peacekeepers put their lives on the line, made the ultimate sacrifice, fought for fundamental rights and freedom for people they didn’t even know in faraway lands. What would they say about what the Quebec Government is trying to do with this bill given the sacrifices made by generations before us? Shame. Shame. Shame. The mayors of Montreal and its neighbouring municipalities joined the chorus of dissent against Quebec’s proposed Charter of Values bill Thursday, calling it divisive, appalling and embarrassing, and vowing to defy it. Montreal mayor-elect Denis Coderre said he would travel to Quebec City to reiterate the city’s objection before a parliamentary committee and the leaders of the provincial political parties, including Premier Pauline Marois. The bill hurts not only the city’s social fabric but its economy as well, and he repeated earlier promises to challenge the bill in court, if it comes to that. Coderre cited a survey taken by the Conseil du patronat, Quebec’s largest employers’ group, which found 63 per cent of business owners opposed the charter and 82 per cent predicted it would have a negative effect on Quebec’s image internationally. He said he would ask Montreal’s newly elected city council to pass a motion opposing the charter as well as the agglomeration council, as they have done in the past. 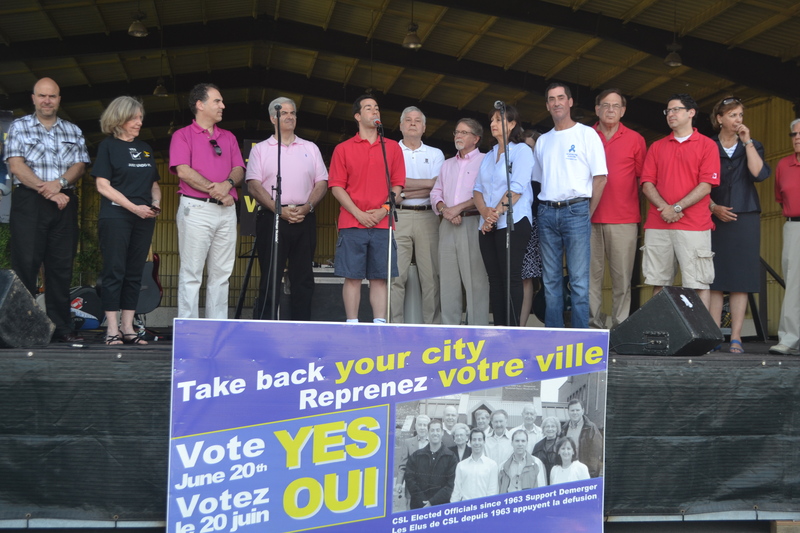 Côte-St-Luc Mayor Anthony Housefather called the bill both harrowing and embarrassing. “It’s an absolutely appalling piece of legislation and I think it’s something that would be laughed at in any other jurisdiction in North America,” he said. Housefather criticized the bill for putting the will of the Parti Québécois over that of local mayors and constituents. “It devalues the rights of municipalities, hospitals, school boards, and the rights of elected officials at other levels of government and simply imposes their view of provincial government on everybody. Hampstead Mayor William Steinberg said his municipality wouldn’t even bother to apply for exemptions to the charter because that would give it a legitimacy it does not deserve. None of Hampstead’s public employees wear religious symbols, but many have asked if they could in protest if the law comes into effect. Certainly, said Steinberg, who calls Bill 60 the Charter of Shame. He predicted the party has gone too far, however. For Housefather, the damage has already been done. 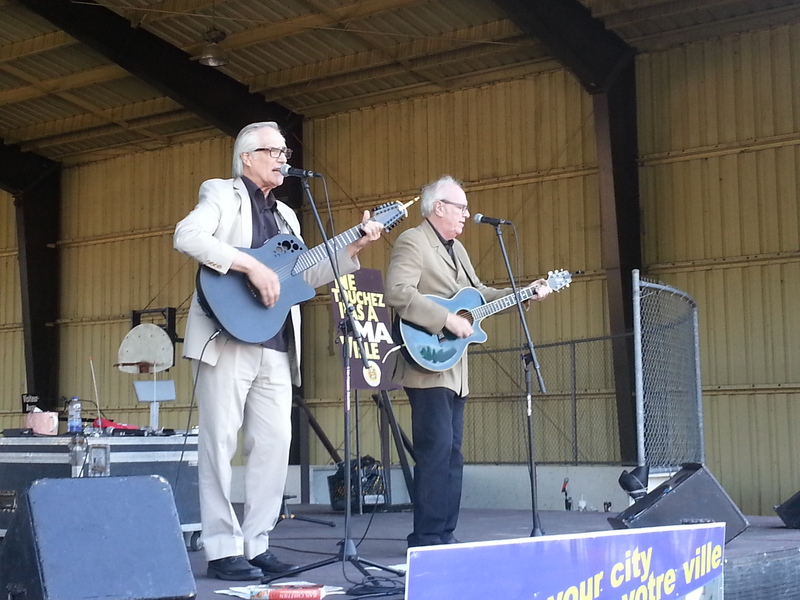 “This is one of the rare times I am so embarrassed by our provincial government,” he said. “Rob Ford is making Toronto a laughingstock. In my view this current Quebec government is making Quebec a laughingstock. The Marois government’s proposed law to tighten the Charter of the French Language would deal a truly devastating blow to most of the 65 municipalities in Quebec that possess official bilingual status. The bill would strip this designation from a town if fewer than 50 per cent of its residents have English as their mother tongue. Municipalities not on the island would tend to lose their status at a considerably higher rate. Many of these mostly rural towns or villages have aging anglo communities. The proposed law, Bill 14, tabled this week by the minister responsible for language, Diane De Courcy, comes completely out of the blue. It’s been a long time since language has been a notable issue in the island’s suburbs or in the more distant places. You have to wonder what the problem is that De Courcy set out to fix. To be sure, the presence of English has become a hot political issue, but that controversy has been confined do Montreal’s central core, especially the shopping areas. De Courcy’s measure gives the core a free pass — the bill can’t revoke Montreal’s bilingual status because the city doesn’t have one. Removing the suburbs’ bilingual standing would also be curious because it would reduce the attractiveness of Montreal for knowledge workers from English-speaking countries. When they move here, these workers often choose to live in a bilingual suburb where — as is only normal — they feel more linguistically hospitable. The Mercer 2012 Quality of Living Index of cities — an annual ranking to help multinational companies and organizations make decisions — came out the day before De Courcy tabled the bill. It rated Montreal well behind Vancouver, Ottawa and Toronto. If the minority government succeeds in making Bill 14 law, it’s not going to help the economy. Trent notes a final curiosity about the bill: Those suburbs whose majority of English mother-tongue residents are rapidly shrinking might have no interest in attracting those newcomers who would further dilute the English mother-tongue presence. The law might thus have the perverse effect of making francophones unwelcome. This measure might make short-term political sense: Riling the anglos is often a surefire way to boost the PQ in anglophobes’ eyes. But as a step to advance the interests of francophones, the bill shoots itself in the foot. In the end, it would harm everybody. Anglo leadership suffered a fatal blow by the withdrawal of federal funding a dozen years ago. Alliance Quebec had advocated forcefully on behalf of English-speaking Quebecers for many years and was a pillar of national unity. While AQ has withered away into the Quebec Community Groups Network, a smaller yet important group for the many rural Anglo communities throughout Quebec, there still exists several outstanding and capable individuals who represent sizable English-speaking communities. 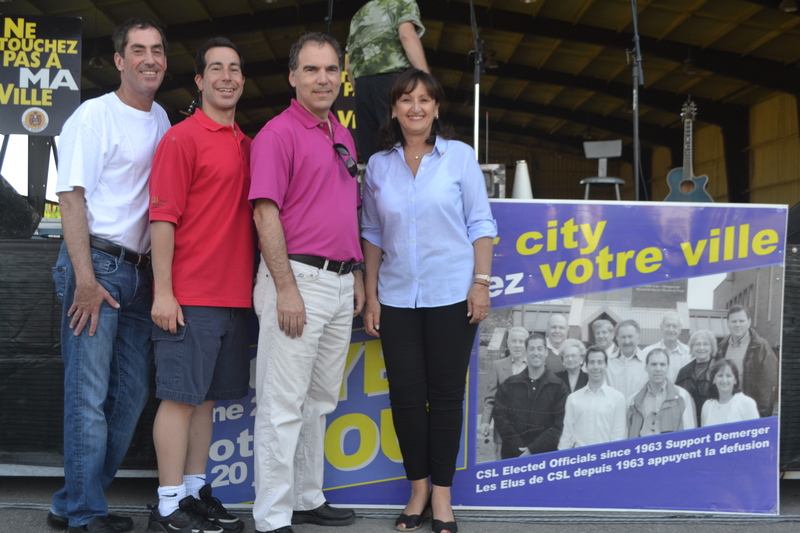 Cote Saint-Luc Mayor Anthony Housefather is a young, dynamic and outspoken rights advocate. As president of AQ he acquired substantial knowledge of Quebec’s vast Anglo communities. 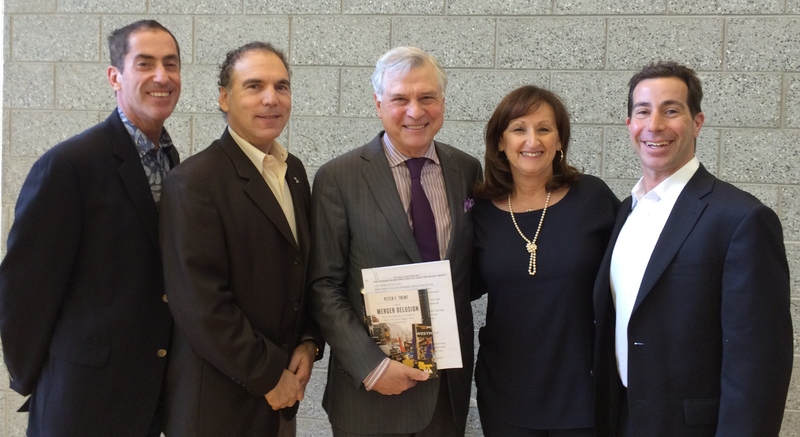 Westmount Mayor Peter Trent is an eloquent spokesperson and renowned civic leader. Michael Applebaum is one of the highest ranking elected officials in the City of Montreal, representing the largest borough and most Anglo-populated of districts. These are but three obvious top picks for Pauline Marois to meet with in order to open vital channels of communication. If Marois truly has the desire to reach out to English-speaking Quebecers she will find leaders willing to dialogue. If government truly wants to develop Anglo leaders they can inject funds to sustain its advocacy organizations. What’s truly sad is that the Quebec elections demonstrated that there is no interest on the part of federal or provincial leaders in supporting English-speaking Quebecers. The poll in Saturday’s Gazette asked whether Premier-elect “Pauline Marois and leaders of Quebec’s English community should meet as soon as possible.” Seventy-four per cent of respondents said yes (including 79 per cent of anglos and, encouragingly, 73 per cent of francophones). An anglo gunman’s deadly outburst outside a Parti Québécois victory rally would have made such a meeting top of mind for many poll respondents. But other issues, too, could benefit from discussion between anglo leaders and Marois, who held herself aloof from the Englishspeaking community during the campaign – issues such as the PQ’s plans to subject small businesses to the same francization rules as big companies, to bar francophone and allophone students from English CEGEPs and to withhold Quebec “citizenship” from immigrants who don’t speak French. But there’s a problem. The people Marois would meet with is a mystery. Anglo leaders? What anglo leaders? The immigrants who are making the anglo community more heterogeneous are often preoccupied with establishing themselves professionally and contributing to their own ethnic community. Add to that the changing zeitgeist. It was often common among welleducated, relatively well-to-do families to instill a sense of civic responsibility. They agreed with the saying, “Of those to whom much is given, much is expected.” To be sure, this attitude had a whiff of elitism – but of a good kind. This sense of obligation to the community has given way to a new individualism. To be sure, the trend holds also in French Quebec (sociologist Guy Rocher has noted that the ideal of social solidarity is giving way to the “ideology of personal success”) and to the West in general. I think the decline in church-going might also be a factor. That’s not only because of religious teaching per se (the “Of those to much is given” quote is biblical) but also because of the social dimension. Churches bring people together. They build a sense of community involvement that people can carry into their secular lives. Though these attitudinal changes transcend English Quebec, they are felt particularly hard here because that community is a minority. Minorities can’t afford a leadership void if they aim to stay robust. But let’s get back to that Gazette poll. Even though three-quarters of Quebecers might favour a meeting between Marois and anglo leaders, she has given no hint she’d like to meet with them, and there are no such leaders to invite even if she wanted to. The situation is not just absurd but sad. Given the ongoing exodus of educated anglos and the thinness of respect for civic involvement, filling the leadership void won’t be easy. Montréal, January 26, 2010 – The Association of Suburban Municipalities (ASM) of the Island of Montréal, representing 15 Montréal municipalities, denounces the 2010 agglomeration budget, in particular the proposed spending increase and the lack of transparency in the process leading up to the tabling of the agglomeration budget by the City of Montréal. “The 9.4% increase in spending for the agglomeration budget, which will translate into an overall increase of 12.6% in the suburban municipalities` share, is fiscally irresponsible and unjustifiable especially in the current economic climate,” said Peter F. Trent, president of the Association of Suburban Municipalities and Mayor of the City of Westmount. “How can we ask all Montréal Island taxpayers, including those living in the City of Montréal, to shoulder an increase six times the rate of inflation, especially as it is not clearly explained or supported with solid facts or figures,” he added. For example, two new expenses represent more than 80% of the spending increase: $91.9 million for employee pension funds and $62.2 million for increased mass transit spending. From the very onset of the creation of the Commission Ad-hoc du budget 2010, the ASM raised questions regarding these increases and requested clarifications. To date, no clear explanations have been forthcoming. The Island of Montréal needs a better funded mass transit system. But should the money come exclusively from the pockets of already overburdened Montréal Island residents? Public transportation is one of the best ways to help Québec achieve its greenhouse gas reduction objectives, and the ASM is willing to support Mayor Tremblay in his representations to the Québec government to ensure adequate funding for Montreal Island public transit. Last December, the mayors of the Association of Suburban Municipalities welcomed the creation of an ad hoc agglomeration budget Commission. They looked forward to an open, transparent, and democratic budget review process, especially in light of Mayor Tremblay’s post election commitment to work with all partners, including the ASM mayors. To improve the planning of future budgets, the ASM has tabled a report with 20 recommendations. The two main recommendations are the creation of a permanent agglomeration budget Commission and the establishment of clear, transparent guidelines for future budget preparation. Please visit the City of Westmount’s website (www.westmount.org) for a copy of the minority report prepared by Mayor Peter F. Trent and Mayor Edgar Rouleau in response to the recommendations tabled by the Commission Ad-hoc du budget 2010 (Volet agglomération).